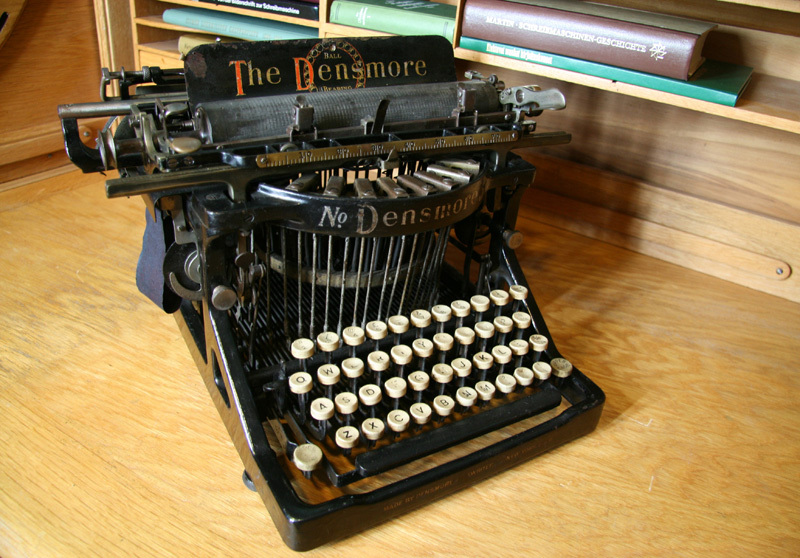 The Densmore brothers were crucial in the development of this commercially successful typewriter. James Densmore (1820-1889) was an oilman and the financier behind several typewriter companies. His brothers Amos and Emmet were designers. 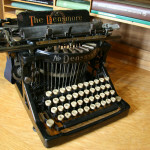 The Densmore typewriter was manufactured by Merritt Mfg.Co. Densmore Typewriter Co. was a marketing organization. The No.1 was introduced in 1891. Densmore was an understroke four-bank keyboard typewriter with only capital letters. It was a blind typewriter. The carriage had to be lifted to see the text. Model No.5 came on the market in 1903. Production was laid down in 1907.